One of France's most recognizable landmarks, Mont Saint-Michel and its bay are part of the UNESCO list of World Heritage Sites and more than 3 million people visit it each year. The first monastery has been built on the 8th century AD. 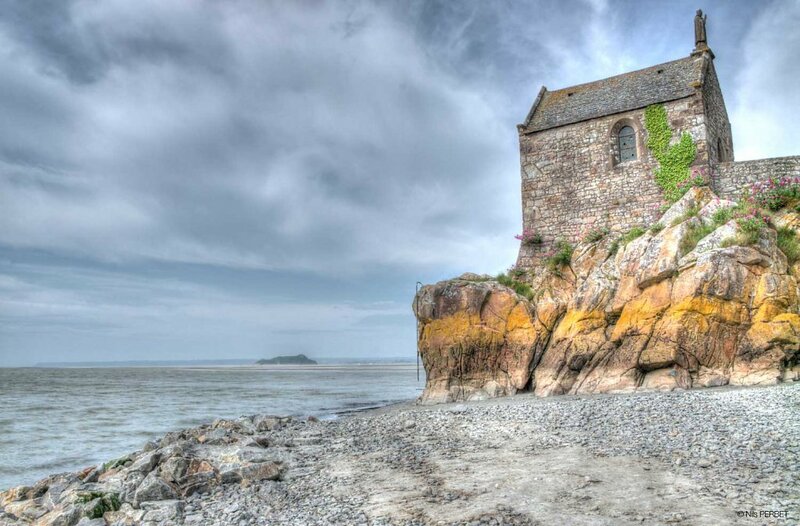 The Saint-Aubert Chapel is a Catholic chapel which was built during the XII century on the Mont Saint Michel. 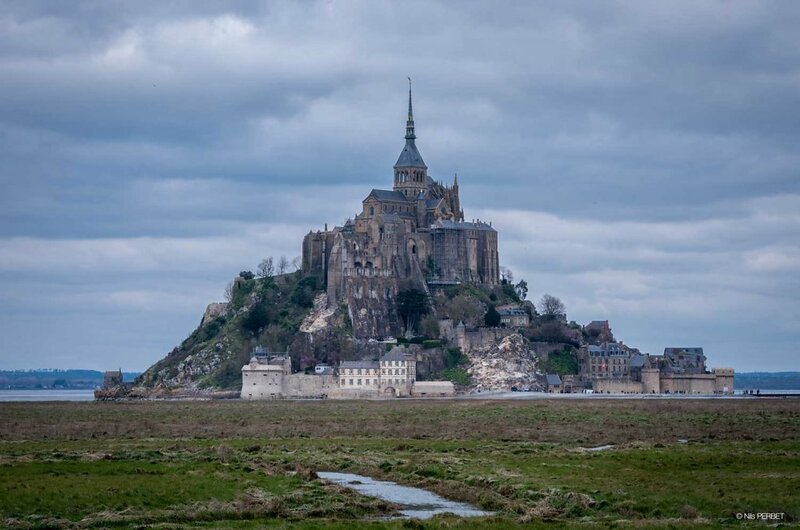 Because of the turist infrastructure, the Mont-Saint Michel was not an island anymore. For this reason, everything has been redesigned for the "Rock" finds its magic gradually lost. The sediments will be flushed by the new dam thanks to the water coming from both the sea and the river. 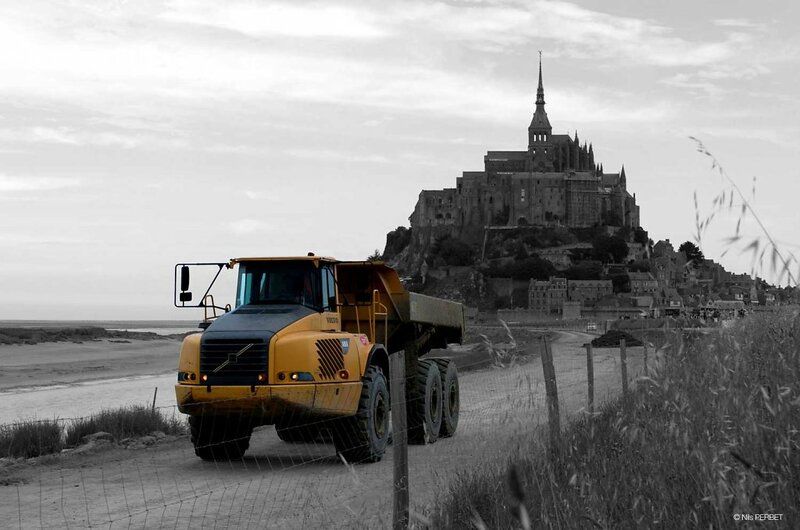 At least ten years will be needed to see the maritime landscape back around the Mont-Saint-Michel. 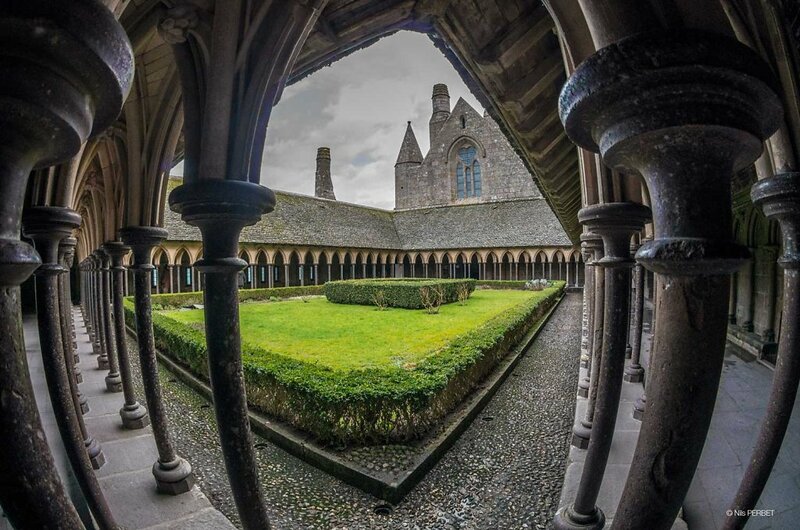 The cloister of the Mont Saint Michel is on the top of the building. It has been built in 1228 and was designed to be as light as possible. The medieval garden has been added in 1966. Robert TATIN was a French artist. 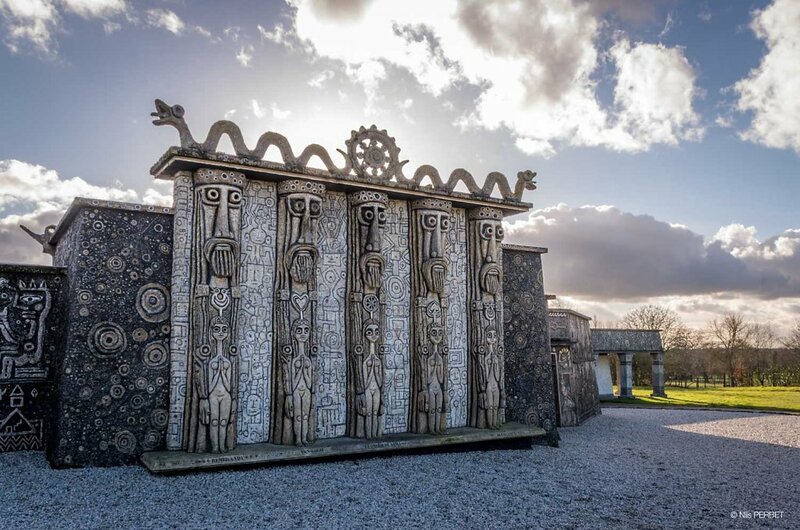 During 20 years, he has been building a museum dedicated to the naive art. The Giants' gate (which is actually a wall, not a gate) portrays Rembrandt, Van Gogh, Léonard de Vinci, Goya et Delacroix. 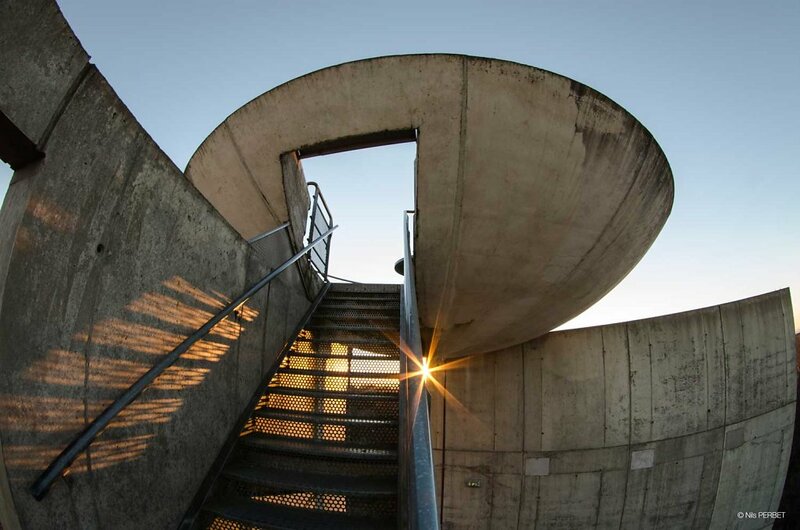 An observation tower is sitting on the top of the Mont des Avaloirs (416 meters: highest point of the Mayenne department). Built in 1994, the tower offer a panoramic view of the massif armoricain. 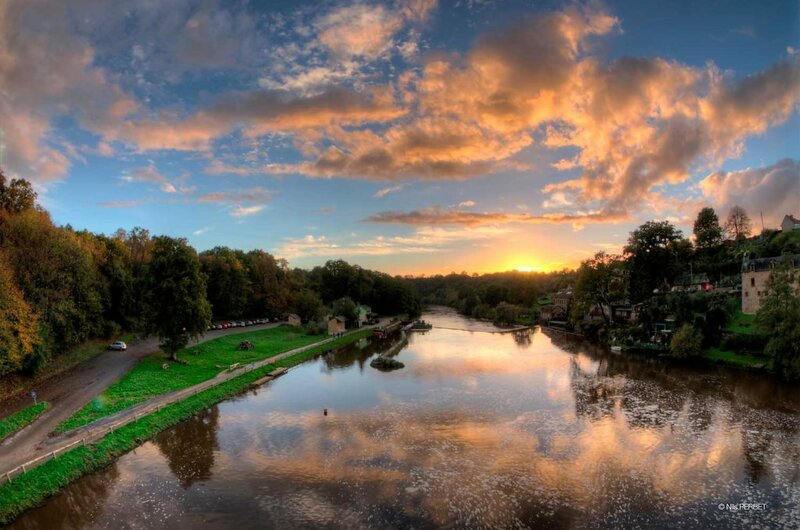 The Mayenne is a river sitting on the North-West of France. 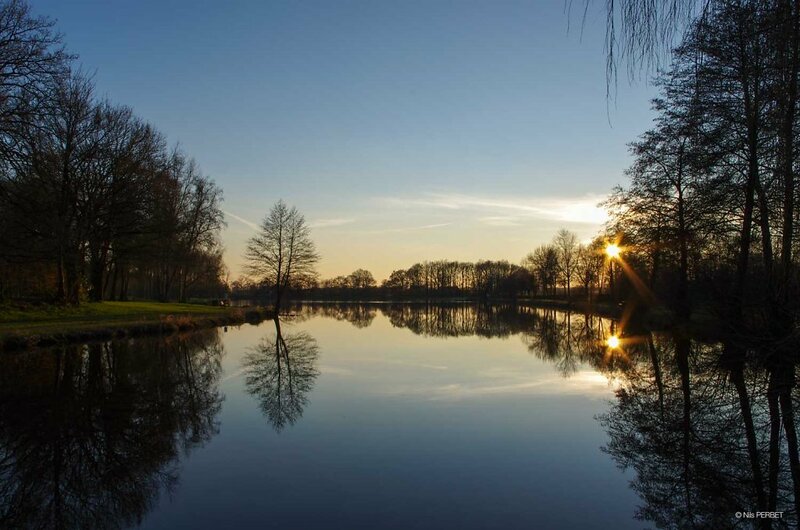 During the reign of François the first, king of France from 1515 to 1547, this river has been adapted to make it navigable. Along its length, a path abled horses to pull boats. Today, this path is appreciate by hikers. 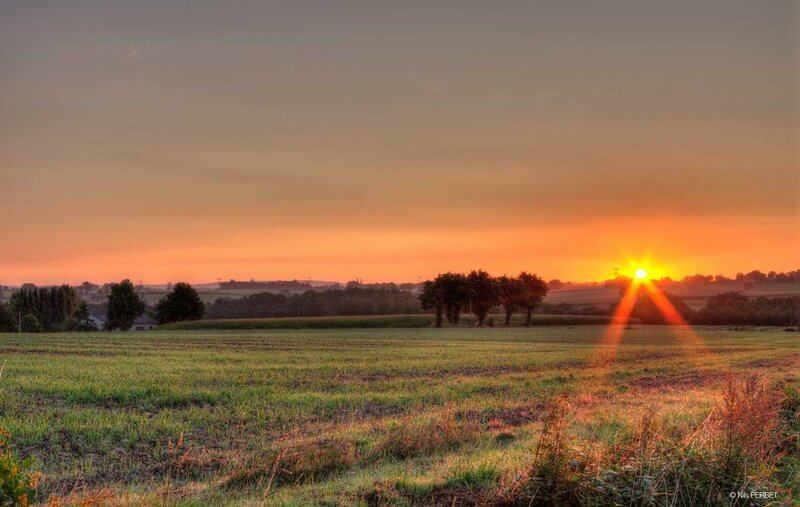 During the summer, the countryside of France has plenty of wonderful colours which can be appreciate by the ones who get up early. Étang de La Fonderie is next to Deux-Évailles and is located in Département de la Mayenne, Pays de la Loire, France. Étang de La Fonderie has a length of 3.4 kilometres. 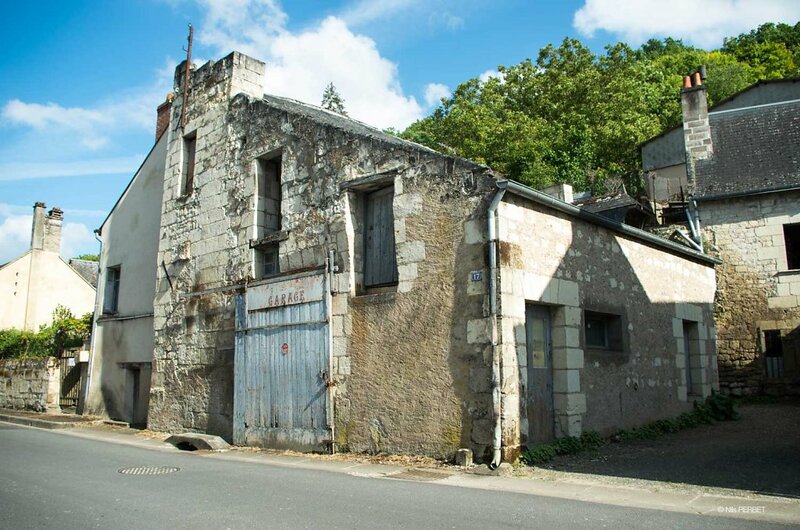 This old garage is sitting on the town of Ussé. ; This building is typical of the Pays de la Loire region; where stand most of the renaissance castles of France. First built in 1860, the Ploumanac'h lighthouse is an active lighthouse in Côtes-d'Armor, France, located in Perros-Guirec. The lighthouse was destroyed in 1944, during the 2nd world war, and replaced by the current lighthouse in 1946. 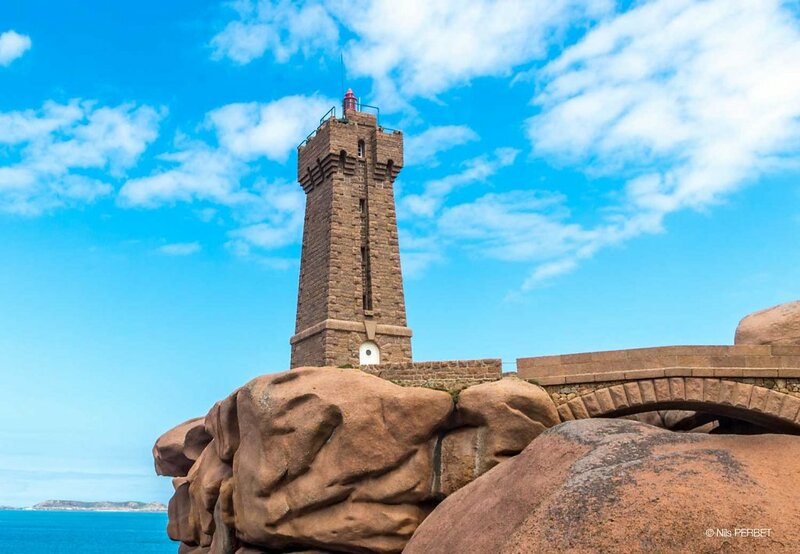 The structure is composed of pink granite, and marks the entrance to the channel leading to the port of Ploumanac'h. 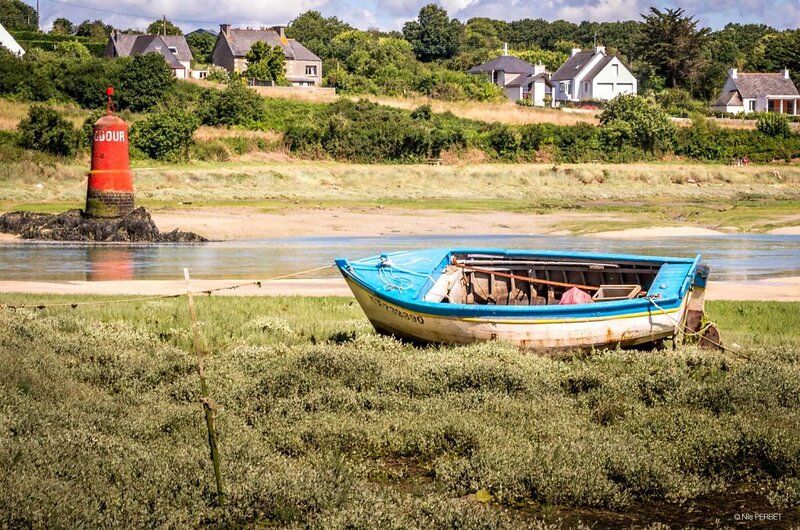 Located at Locquirec, the Anse de Porz Morvan does not allow to boats to go in or out because of the low tide. The Phare du Petit Minou is a lighthouse in the roadstead of Brest, standing in front of the Fort du Petit Minou, in the commune of Plouzané. 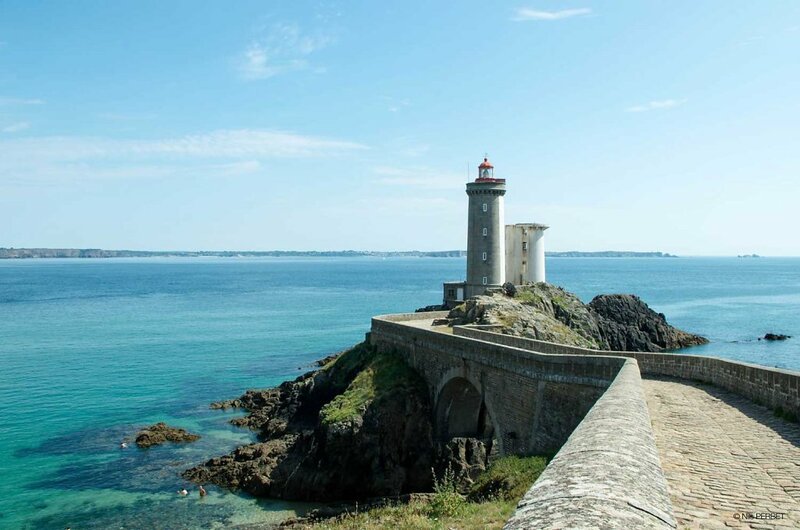 By aligning it with the phare du Portzic, it shows the safe route to follow for ships to enter the roadstead. It also has a red signal that indicates a dangerous sector around the plateau of les Fillettes (literally the girls), one of the submerged rocks in the goulet of Brest — sailors remember this by using the mnemonic "the Minou blushes when he covers les Fillettes". 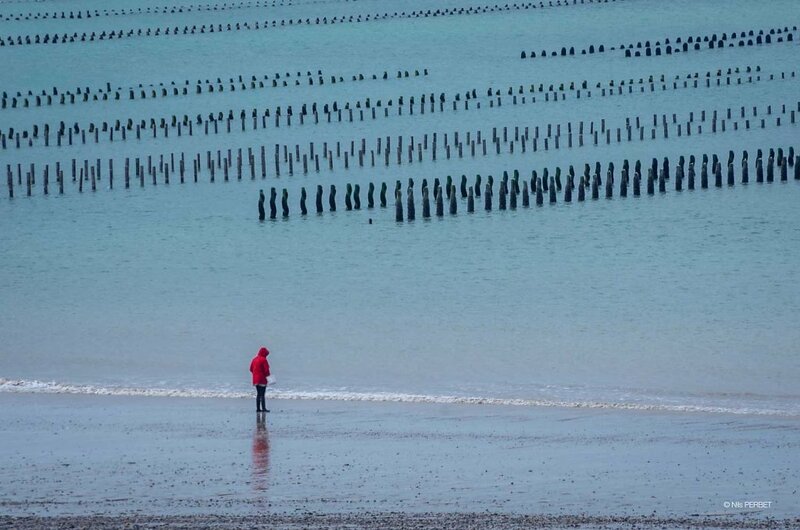 Pilings, known in French as bouchots, are planted at sea on which the mussels grow. We can see a lot of those farms in the north of France. 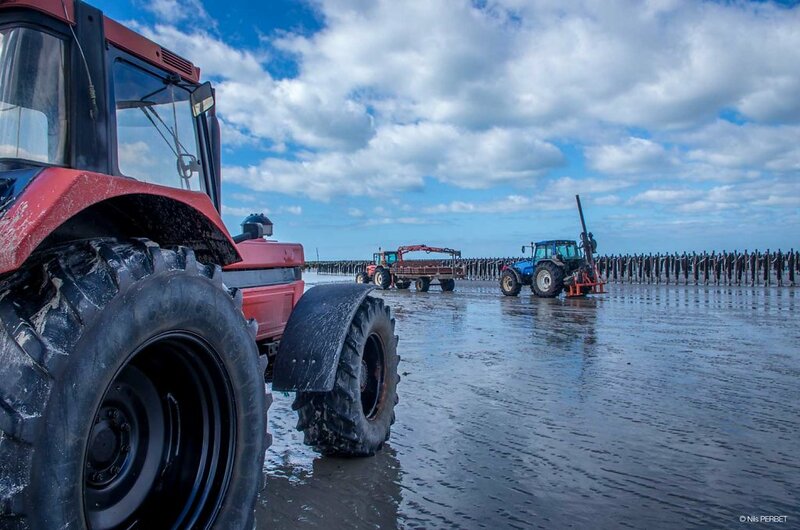 As soon as the tide is low, tractors and farmers are working hard and quickly in order to maintain their mussels fields.